Continue on to see the full patch notes. 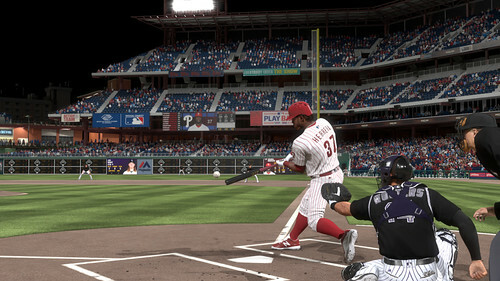 - Slight increases to pitch speed across all gameplay modes. - Fielding animation adjustments to the user controlled fielder to catch more balls just outside of the ball marker. - Fix to an inaccurate ground-rule double call, specific to the bullpen areas of NYY Stadium. - Fixes to several online in-game soft locks, caused by both users pausing or entering quick menus at the same moment. - Fix to an in-game crash involving the button accuracy throw meter. - Visibility improvements to the map in Conquest Mode. - RTTS training attribute improvements to assure pitchers are gaining training points and distributing them correctly to secondary pitch types. - Stabilization of select online and offline UI menus, where users were soft locking following certain timing-specific menu operations.